You aren't one dimensional. Your education shouldn't be either, which is why WPI assures both undergraduates and graduates the freedom and support to explore their potential. There are links among scientific inquiry, creative expression, and entrepreneurial thinking. In the Arts & Sciences, as with all of WPI, we believe in making connections stronger. The WPI undergraduate program places considerable emphasis on the humanities and arts and exploring the impact of science and technology on society. Likewise, graduate students benefit from collaborative relationships with faculty, the environment that encourages independent research and a global perspective, and the commitment to solving complex human problems thoughtfully. 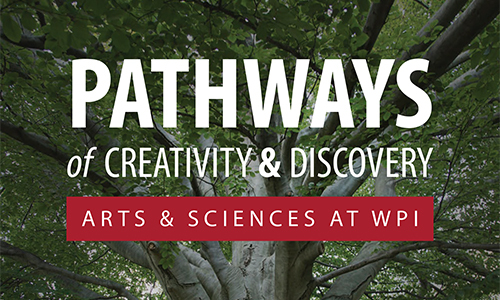 As with the branches of a tree, the seven departments and eleven interdisciplinary programs within the Arts & Sciences are critical to WPI’s mission. We’re pleased to share the stories, students, faculty, and data that highlight our successes and shape our future in Pathways of Creativity & Discovery. WPI is launching a multidisciplinary initiative to develop a robust, externally funded research program in neuroscience that complements and intersects areas such as systems biology, cognitive neuroscience, neuroimmunology, connectomics, imaging, bioinformatics, and computational biology. 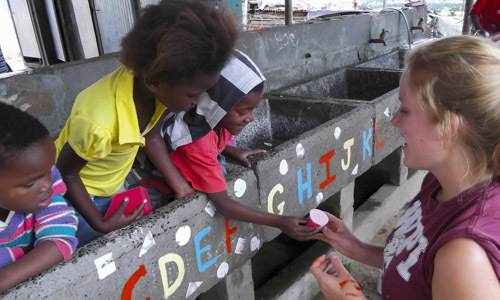 The minor in Global Public Health will use an interdisciplinary approach to explore the major underlying biological determinants of health as well as aspects of social, political, environmental, and economic influences. The program offers a flexible set of requirements to allow students to design a minor appropriate for their particular educational and professional objectives.